I love to cook and picture my food myself , I image how exciting that trip must have been for you. I love Indian,Thai and Japanese food ,have been recently on an adventure through the macrobiotic kitchen ……. Hey there – I just came across this blog when I went looking for lampreis…… thanks for doing it. What a great idea. Yum. Thoroughly enjoyed the No Reservation episode about Sri Lankan foods. Because of the show and more than just simple curiosity about exotic cooking, I plan to hunt down your book and make more than just a few of the dishes from the show. The crab looked sensational. How I wish someone would invent smell-a-vision and taste-a vision just so that I wouldn’t have to imagine the fragrance and flavor of that particular dish. 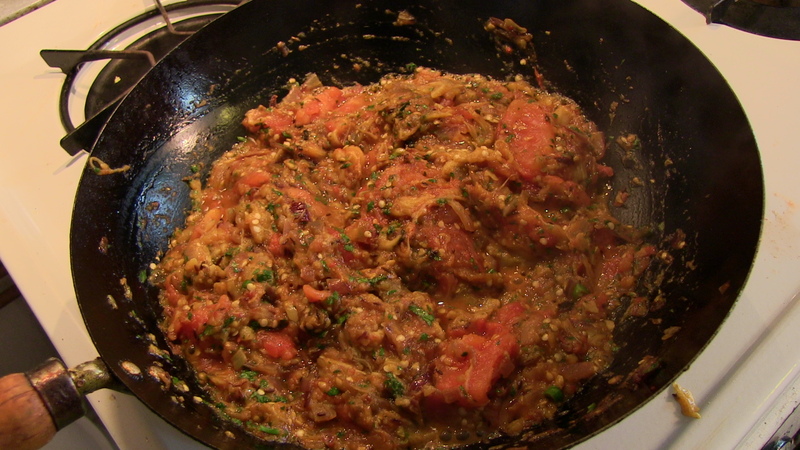 Hope I can find an authentic source for spices here in Hawaii so that I can replicate Leela’s crab. Thanks, Amy! The crucial ingredient for any SRi Lankan dish is the curry leaves. I don’t know if they’re available in Hawaii, but definitely on the mainland (in a place like LA or SF). If you having trouble finding ingredients, hit me back and I will see what I can do for you. I saw you on No Res, so I looked up your blog. I am so amazed by this latest project and wanted to wish you “good luck”. I think we must have bumped into each other in the Balto days, I just can’t remember where. Thanks, Rebecca, the show was a lot of fun and so was working on the cookbook. If you are facebook feel free to hit me up. I really enjoyed the Sri Lanka episode of No Reservations, and wish that they had given some more info about you during the show. What a nice surprise it was to find out all that you are involved with and that you are currently representing Bmore! I checked out some of your music and enjoyed it (it’s been a while since my party days, brought back memories…) This blog is great too – my best friend in HS’s mom was Thai, so I love spicy Asian food. Best of luck to you in all your endeavors, and I’d love to run into you sometime if and when I make it back home to Charm City. Thanks, Elisabeth. Glad you enjoyed it! Feel free to holla at me anytime! I discovered you some months back from the No Reservations episode and been following your blog ever since. I love tracking your cooking and travels. I have a link to your blog on mine and would really appreciate a linkback. For sure Mireille. I’m going out of the country tmrw for a week, though, so if you could send me an email to curryfiend@gmail.com and include a link to your site that would be helpful. son u were the playa…. Thanks, Elisabeth. You do the same. By the way, do you blog as well? What a surprise to watch one of my fav shows and see my own cousin! Man that was an awsome show. I always knew you as Sarath (or Malli) and Skiz threw me for a loop. To confuse things more – when they said ‘born in Texas’ – for some reason I thought they said Beaumont, Texas – so I did not even realize that it was you for about half the show. Remember back in 1986 or so you took us around B’More – and then we saw each other at Sid’s wedding in R’ Island – has been a long time. I did send an e-mail to your mother after the show. Great job – as they say – you are the man. BTW – just reading about all the other accomplishments – take care and good luck (next time I will carry the equipment). Thanks Amal Aiya. Nice to hear from you. Where are you now? Yes, it was really fun putting the show together and there is, of course, a lot they left out, but I think it’s a pretty good show. I myself am a big Bourdain fan and it was a real thrill to work with the guy and become friends. Houston, Texas – your birth state. Come over some time. hi skiz. learned about you and the cookbook from the bourdain show last week…as a sri lankan american, i would love to go back someday and do what you did, must have been a great experience. great blog. will certainly check out the book. Have you published your cook book? If so what is the name and where can I order or buy it . Rice&Curry: Sri Lankan Home Cooking by S.H. Fernando Jr. is available at http://www.blurb.com. Good job with the book. Today very hard to find an authentic book like yours. 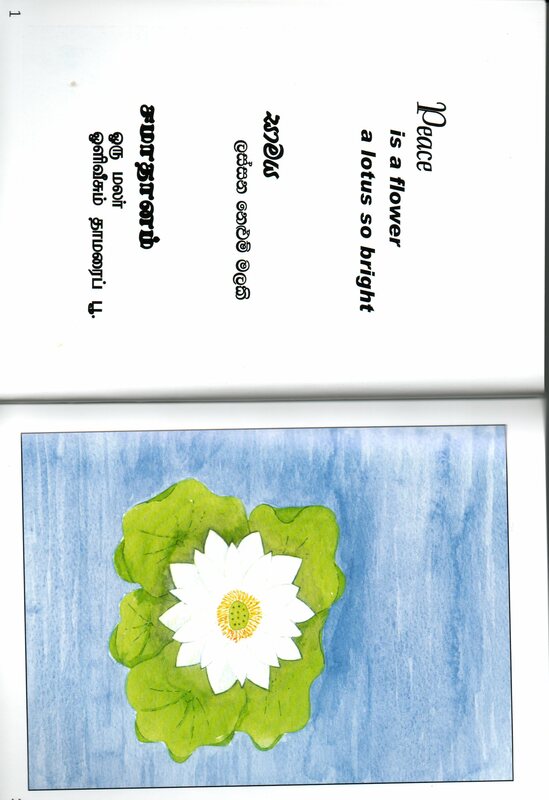 what I really like is, your book doesn’t speak about Sinhala Cooking. It speaks about Srilankan Cooking; Which means the Dishes that are blessed by all the cultures that forms sri lanka into a unique spaciality among foods. really great job. And please keep it up. Take care and God bless you….. Thanks for the comments. As you know, Sri Lanka is a multi-ethnic country, and we should always cherish our diversity and allow for minority rights–especially in light of everything that is happening at the moment. I really hope this war ends so the world can rediscover a beautiiful place with amazing an people and culture. 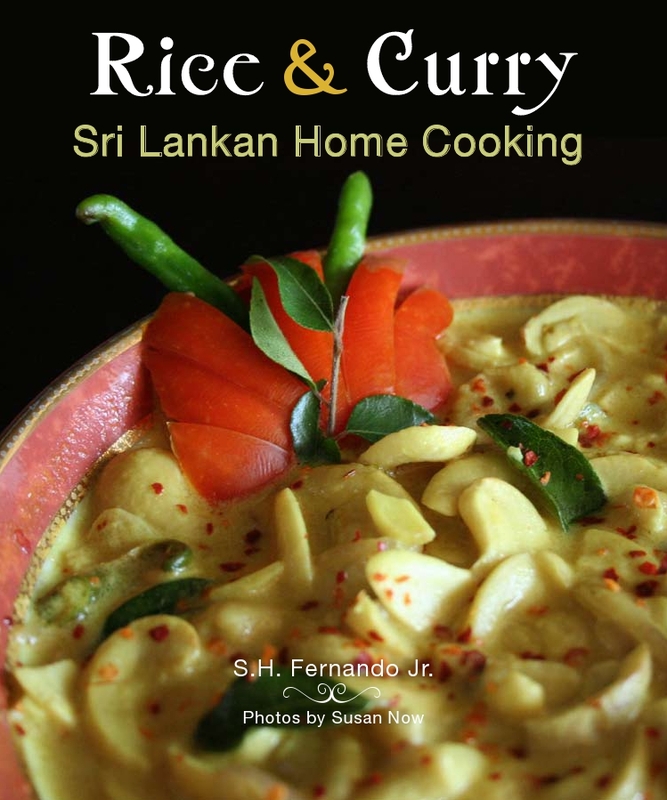 Unfortunately, my book is only available online at blurb.com: It’s called Rice&Curry: Sri Lankan Home Cooking. Skiz – Remember me? Just saw you on Bourdain’s show. Awesome you branched into cookbooks. 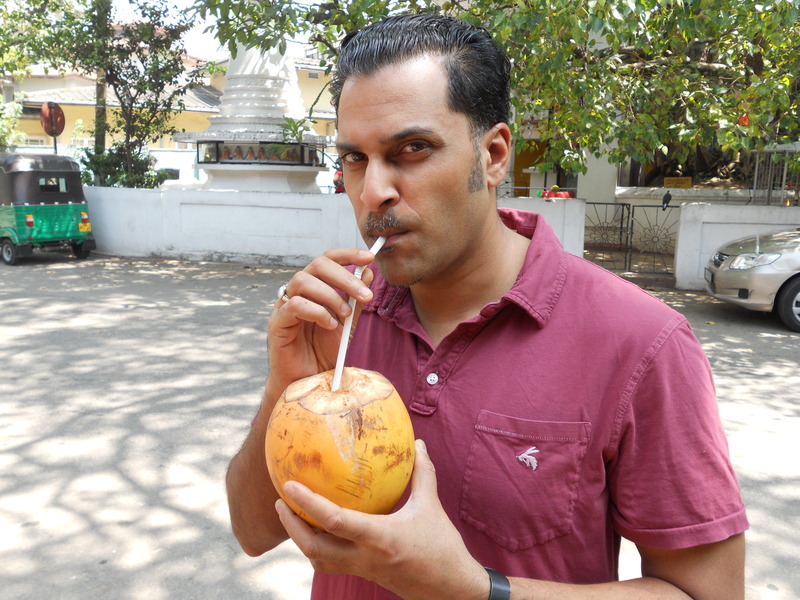 I’m a big foodie, too and love Sri Lankan food – the spiciest I’ve ever had – looking forward to the cookbook. Yo – check out the Shopsin’s cookbook for a real FU oddity – inspirational reading. Greetings from Williamsburg!!!! Sure. How’s it going? I love food, but I’m not a foodie! I’m also making my own Sri Lankan curry powder which I sold at BrooklynFlea in Fort Greene this past weekend. It’s a side hustle since squeezing money out of music is tough these days, but it could well become the main grind (no pun intended). I just saw your “No Reservations” show and I am a HUGE fan of Sri Lankan cooking. It’s so sad that there are Indian and Chinese restaurants everywhere (because of large populations) but Sri Lankan restaurants are very, very rare – and most people have never experienced this unique and very remarkable cuisine. I hope you get a book deal, I will gladly grab your book and start cooking at home for myself. Thanks, Brett. My book is actually already published. You can order it at http://www.blurb.com or just go to the blog and there is a link. Caught a repeat of your No Reservations appearance…thank you so much for introducing me to Sri Lankan cuisine! Only problem…I don’t think there are any Sri Lankan restaurants in San Francisco for me to try those amazing looking curries!? After some research, I found one restaurant in Palo Alto that has recently closed its doors, and a few other restaurants in the city that have a smattering of Sri Lankan dishes on their ‘Asian fusion’ menus…but I want to try straight, authentic Sri Lankan food! Are you familiar with the Bay? Any suggestions? I’m really surprised that there is no Sri Lankan food in the Bay Area. That would be a place for me to opena restaurant, huh? I know of one Sri Lankan restaurant in Tarzana, CA called the Curry Bowl, but that’s probably way to far away. Let me ask around and see if I come up with anything closer to you. Sounds great. I know that the SF market would be really open to a Sri lankan place–especially if there is nothing there already. I’m very surprised about that, and I’m still doing research about it. Apparently there are 100,000 Sri Lankans in California, but I guess they are clustered in the South. If you ever make it down to LA, check out the Curry Bowl in Tarzana though. I just ordered your book. I appreciate you helping me realize I can make high-quality Sri Lankan food at home. I went there in 2002 and was blown away.. but after I never found a restaurant or any clear guides – so I assumed it was an exotic “forbidden fruit” and I probably couldn’t get all the complex ingredients. Seeing you on “No Reservations” awakened all the memories of the great food and it sparked a major culinary revolution for me and my kitchen. I’m glad to help support you and will spread the word! Thanks a lot, Brett. I appreciate the support. I’m also hoping more Americans will visit Sri Lanka now that the war is over. Feel free to ask me about any cooking tips as you discover the art of Sri Lankan cooking. I am such a newcomer to Sri Lankan cuisine. I recently watched a rerun of the No Reservations episode with my boyfriend and went on a search for recipes. My boyfriend in a vegetarian and so I am curious if you happen to know if it would be difficult to eat completely vegetarian while visiting Sri Lanka. I am going to have to adapt the recipes I find, but hope to be able to try some soon. Thank you so much for the introduction! Looking forward to getting a copy of your book. Actually Sri Lankans eat a lot of vegetables and there are a lot of vegetarian curries. My book has a whole chapter on vegetarian dishes and I should post some recipes soon. The key to vegetable curry, though, is the the raw, unroasted curry powder than I have in my book, but I’ll be marketing that soon. Stay tuned to the blog thougn for more recipes. This is a great blog. I enjoy cooking and reading about food and discovered your blog by chance a few days ago while looking for a cashew nut curry recipe. I recognized you from the No Reservations show on Sri Lanka. I enjoyed the show very much, although I felt Tony could have done more justice to the Galle Face Hotel! Leela seems like a wonderful woman and reminds me of the lady who cooked for my family when we grew up in Colombo. Do you live in NY? I am from Sri Lanka but have been living in NY for a few years. I am hoping to buy your book some time soon. One day I too hope to create a book of my own about Sri Lankan food. Thanks, Tess. I used to live in Brooklyn, but I’m in Baltimore now. I go to NYC all the time, though. Have you tried any of the Sri Lankan spots in Staten Island? I like them better than Sigiri on First Ave. I have been to one restaurant in Staten Island which I thought was quite good. Lakruwana is the original name, but I believe it has recently changed names. I prefer it to Sigiri. Do you have any other recommendations for Sri Lankan restaurants in Staten Island? Also, in case you don’t already know, there’s a Sri Lankan guy called Roy who lives in Queens and delivers Sri Lankan food during lunch and dinner to people in the city. He makes some great stuff – I particularly like his prawn curry, fantastic. He’s the go-to man when you need a string-hopper feed with pol kiri and coconut sambol. You should check him out some time! You probably ate at San Rasa, which is run by the chef who used to be at Lakruwana in Manhattan. I agree that its much better than Sigiri. Around the corner and up the hill you will find several more smaller Sri Lankan spots practically next top each other. I think the best id New Asha, though they are all decent and cater to Sri Lankan palates. Did not know about Roy from Queens. Can you give me contact number or email. If I blog about him he might get some more business. Roy’s number is 646-247-6698. There are two things to remember when ordering from him: 1. He doesn’t speak English fluently, so you have to order in Sinhalese and 2. He is guaranteed to deliver your order a couple of hours late. If you want to make sure your food is delivered on time, you have to hound him with calls! He prepares individual portions if you’re ordering for one, and he also does large orders for groups of people. Some things to try from him are his prawn curry, brinjal pahi, coconut sambol, and string hoppers. Hope you get to try him out some time. Thanks, Tess. Will have to check him out next time I’m in NYC. Do you blog as well–I noticed tastecolombo as your email? great stuff man! saw u off Tony’s Show as well…awesome!! We live in Melbourne, Australia nearly 20 years. The army of crows draw our attention to watch the Anthony Bourdain’s No Reservations. Then we realised it was filmed in Sri Lanka. It was great to see your passion towards the Sri Lankan dishes. Great show and excellent job!!! We will be visiting Sri Lanka in end of November 2009. After the show I would like to visit Chilaw to taste the Leela’s crab curry. Just wondering how do I get her whereabouts. Please email if you know the place. Is this book available to buy in Sri Lankan book shops? Glad you enjoyed the episode. Unfortunately, Leela was a former cook of my aunt and does not have her own restaurant. We had arranged for her to cook her specialty, Chilaw Crab Curry, just for the show. Just watched a repeat of the No Reservations episode. Really great. Your episode is one of those I could (and do) watch over and over again. I’m reminded buy your cookbook (wish I could get it time for Thanksgiving)! Writing from Providence, RI and thinking there is definitely a market here for your curry powder. How do you distribute? Thanks for the kind words, Leigh. Right now my curry powder is available through 2 artisanal food sites–Foodzie.com and Foodoro.com. It’s also available through the Virginia’s best Catalog. I’m working on a lot of other outlets, however, including whole foods. If you want to recommend a specific store in Providence that would carry it, I would be grateful. I had a cashew curry in Jaislmer, Rajasthan, India a few years back. It was FABULOUS and I have always remembered that meal…. I have never seen it in any other restaurant since. I am glad I have found your recipe. I will try it at home. Thanks! Excellent. And I thought we (Sri Lankans) were the only ones who made cashew curry. That’s good to know. Just watched No Reservations on you tube. What a fantastic show! I am a fan of Anthony’s and thanks to you for making this all possible. I feel quite homesick now, no wonder huh? My mother was a famous cook in Ceylon(then)Last name Mack. Catering for Donavan Andre’s carnival etc. Her lampriests were to die for! and her rich cake, love cake, fougetti’s etc, went out in large batches. I have lived abroad since 1962(was 18 then) first in London, then on to Montreal and Toronto. Finally came to California in 1981. Married with 2 sons 38 and 41, and now have 4 grand babies. My maiden name was Milhuisen. Please let me know if you are a relative of Iris and Herbie Fernando who lived in London. I know Fernando is quite a common name, but it would be nice to know if I knew your parents. I am just about to order your spices and thinking about getting the cook book too. Unfortunately I dont have many recipe’s from Mum, and have referred to C. Solomon’s book on and off. Now my mouth is watering! what I would do for a crab curry right now! 2 weeks ago our friends came from San Diego, picked up stinghoppers, sambols and mus pans, fish rolls and pancke rolls from LA. They were quite good infact, I believe it’s a new restaurant. We live in the central valley, mostly vineyards and ranches, about 1/2 an hour north of St. Louis Obispo ( Cal Poly) Our kids live in the bay area and we go back and forth. It would be nice to hear from you. I’m glad you enjoyed the show. I regret to inform you, however, that I am not related to your friends in London. I do have an Aunt there, Lalitha Fernando, and my uncle in London, Upali Cooray just passed. My parents were the only ones who ended up in the U.S. They came in 1964. I was born here as well, but go back to Sri Lanka as much as I can. Thanks for checking out my blog and please let other Sri Lankans know about it. Hello Skiz, my name is Jenn and I have always prided myself on being adventurous in food. I have managed to gather along the way many recipies from many different cultures. The military brought me to great destinations, also meeting many people who brought their particular cuisines with them. Sadly, I never made it to any duty stations near your childhood home of Sri Lanka. I was always fascinated with food that incorporated many layers of flavor than just a few. I was watching “No Reservations Sri Lanka” one evening and what caught my attention was the love you felt for all the food your were experiencing while back in Colombo and other locales. Thanks for opening another door to my culinary adventures. I look forward to obtaining your cookbook/journal of Rice and Curry. I realize that the episode I speak of was released a few years ago, but when watching the show it seems like yesterday. I hope to create lots of fun and adventure with the help of your book. Thanks for the kind words, Jenn. actually, we just shot that episode about a year ago, so its fairly current. What’s even better is that the civil war in Sri Lanka is over now and there are not soldiers all over the streets like you saw on TV. In fact, the NY Times has called Sri Lanka one of the top places to visit in 2010. If you don’t get a chance to make it, you can live vicariously through my blog here. I saw your video on youtube about the SL food promotion at the world bank and discovered your blog and music! Could you please send me an e-mail, I would like to talk to you about some upcoming Sri Lankan events in California and promoting your cookbook and music. Hey, man! Nice to see you here. Still making music, but this is my side hustle, making a serious bid for my main hustle! Very nice site. Could you please put me in touch with Susan Now, who took the photos for your book? I need to get her permission to reproduce a photo she took many years ago. Sorry to post this on the comments section of your blog, but didn’t know how to reach you otherwise. Just watched the Sri Lanka No Res with my girlfriend (who is from Baltimore) and thought you were awesome. Thanks for showing us around the country on TV! We are traveling to Sri Lanka in late August/early September and are going to visit a big chunk of the country. We’ve picked out hotels and a loose itinerary, but one of the most intimidating things about the country is figuring out how to get around. Are there any guides that you recommend? We’d love a guide who could not only take us from place to place, but also show us some of the great food spots and tell us a little bit about the people and the history of the country. Any tips would be helpful. In the mean time, we’ll be heading to Staten Island this weekend to check out the food and keep getting prepped for our trip. Thanks Skiz – really appreciate it. Thanks for the kind words. I wish there was some kind of guide for visitors to Sri Lanka–maybe this is something I need to do. But if you check out some of my older posts, there’s quite a lot of places to eat in Colombo on there. Have a great trip and try to make it to the north if you can. Being a Wordsound fan, what a shock it was watching No Reservations and seeing you. At first I was thinking, maybe there might just be another book-writing “Skiz” out there who looked much as you do, but when you walked on in the next scene with your Wordsound shirt, I leapt to my feet! It was great to see “The Ill Saint” in another, more domestic environment, and I’m sure to follow this blog and order your new book. Gotta give you props for covering so many bases, from scholarship to music production to cuisine. I second “Amal” in saying “Come back to Houston”! I was not aware that you were actually born down here! Love your writing and saw the AB piece too. Need to get to Jaffna, it will be my first visit. But, before I do that I will walk those back streets of the Fort. Appreciate the tip. Thanks a lot. Jaffna is definitely worth the trip. I recommend going east to Trinco as well. 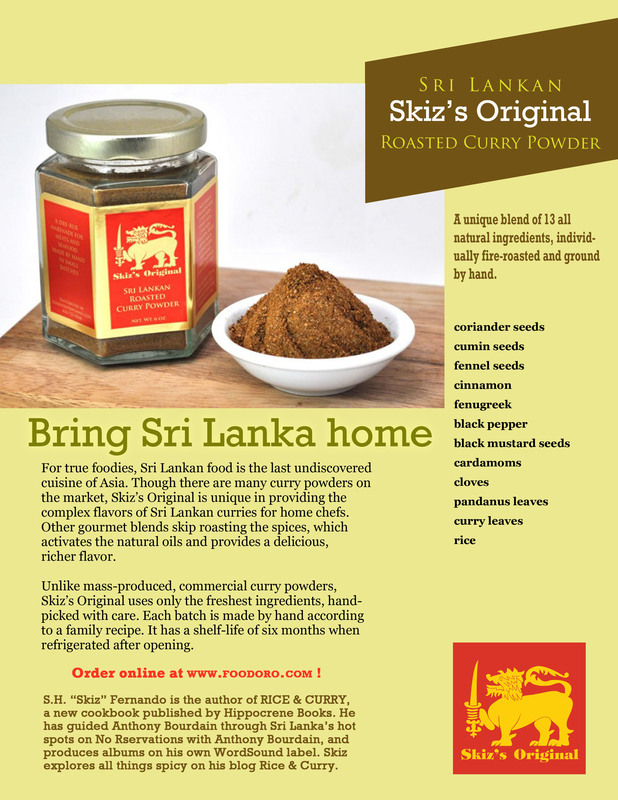 Do you ship your Sri Lankan spice mix to Canada? I couldn’t find any way to email you. Sure thing. Just tell me what you want, I’ll figure out the postage, let you know, and you can send me a paypal for the payment. I have both the roasted and raw (for vegetables) curry powder. Welcome to the U.S. My cousin recently came here to study and he was in Tulsa, Oklahoma and couldn’t wait to get back home. But it was rice and curry (the food, not my blog) that kept his spirits up and after a few months, he discovered that he could cook! So never say never. I’m posting a recipe for fish ambul thiyal tmrw, so this is your chance to get started! My friend in New York just mailed me a bottle of your divine curry spice — one whiff and I knew I didn’t have to bother to roast and grind my spices for a curry like I used to do. but since I don’t have it tonight and I plan a coconut curry, could you please help with a few pointers? I use shredded coconut — should I just add your spice and cook a curry like I normally do? Thanks for the kind words. Just add the roasted curry powder and cook as usual. Of course, you’ll have to add some chili ;-). i just ordered some of your curry powder, which i’ve been meaning to do for some time. i can’t wait to get started on some ill recipes. Give thanks, Omar. Hope all is well with you. i am delighted to discover your blog. will try the ambul thiyal tonight. do you know of any Sri Lankan restaurants in Los Angeles area? Thanks! And Welcome to Rice & Curry. Though I’ve never been there, I’ve heard of a place called the Curry Bowl in Tarzana. With all the Sri Lankans living in the LA area, however, I’m really surprised there is not more (though the DC area where I live is not much better). I cook mostly Sri Lankan food at home. The only thing I am unsure of is the variety of green chili used in the cooking. Would you be able to tell me? Then I can get seeds to grow it. Hmmm. I’m not sure of the exact name, but they are no longer than pinky length. Perhaps a young cayenne pepper? I buy them at the Indian shop. Please let me know how i could place an order for13 packs of lampreis for January 13th 2011 – Dinner. Please let me know the price as well. Are you in Sri Lanka? I would try Jean Daniels, whose number I dont have. Or Lorraine Bartholomeusz 0112 589673. Aside from that you may be able to order from Green Cabin or Fab. Skiz, LOVED the show, and am about to buy the book. I was ignorant on Sri Lankan cuisine prior to watching it. Now, I literally pretend I am there eating it, as my addiction to anything Asian is a dominant part of my life. We are moving back to Phuket in a few weeks, and hope to visit Sri Lanka this year o the next. Can I get some hotel and restaurant suggestions? We don’t eat meat but LOVE fish and can take intense spice, as in hot as hell. Checked out your blog–sounds like a real adventure. Of course, I know dozens of cool places to eat and stay in Sri Lanka. I’m in the middle of a real busy crunch right now and travelling so if you send me an email closer to the time you’re thinking of going to SL I can help you out. The email is curryfiend@gmail.com. skiz, i was put onto your blog and your supper club just yesterday. was disappointed to see that the table for the event on 2/24 was full. when’s the next event?…me and my b-more friends are hungry! I found your blog when I was looking for Sri Lankan food. Nice blog and videos! Very inspiring! I’ve been looking for the Sri Lankan rice called Samba, but I haven’t found it yet. I live in Switzerland. Is there a big difference between Jaffna and Sinhalese cuisine? Please reply. So, keep posting! Best wishes! Excellent! I look forward to trying some of the tasty looking recipes on your blog since I’m not so familiar with Indonesian food. I am working on a article about Sri Lankan Food for a dutch magazine. I am having a hard time finding the right pictures to use for my article. On your blog I see wonderful pictures, so my question is: Could I use your pictures? I would love to hear from you. Thanks anyway. I live in DC area is there a closer place where I can pick up the roasted curry powder or does it have to be ordered. Yes, you can order it online at foodzie.com or foodoro.com. I’m working on getting it into Whole Foods, but in the meantime try those. Are you still on Facebook? What is your profile url? Could not locate. my facebook account is S.h. Fernando Jr. The same Skiz from No Reservations? AWESOME. I’m watching the Sri Lanka episode right now. Loved the “No reservations” episode. I just tried some Sri Lankan food while visiting New York and loved loved loved it. Will definitely check out your book. I live in B’more and have been searching the area for SLankan groceries (like Maldivian fish for the lunu miris) and am totally shocked that 1. there are no restaurants in the area and 2. no grocery stores either. Any suggestions? Thanks for the kind words. I get all my Sri Lankan food supplies from a store in Derwood, MD called Spice Lanka. It’s about a 2 hour drive from Baltimore. Stay tuned to my blog because I will be hosting a Sri Lankan Supper Club in Baltimore and DC very soon. As far as hotels, there are so many good ones all over the island–including smaller boutique hotels. But I would recommend the Galle Face Hotel in Colombo, Queens Hotel in Kandy, The Lighthouse in Galle, and Kandalama in Dambulla. Unfortunately, there are no Sri Lankan restaurants in the DC/Balto. area. You’ll have to go up to New York for that. Check out older blog posts for a rundown of the spots. Enjoyed No Reservations.I am so happy to hear of your Cook Book being available to us soon..Please inform me of whether it is out and where I can buy it as a very special Birthday gift to a friend .He is a foodie and a good cook as well. I wish you the very best and cannot wait for the book. Thanks for the kind words, Roma. The book won’t be out until the end of October, but you should be able to find it everywhere. There is a hardcover version available now at blurb.com, but I would wait because the new version is very much improved. Recently found your blog and am a frequent visitor to your blog. Thanks for such a wonderful blog. I am planning to visit my local Store for getting the spices required. It will be really helpful if you can post what are the basic items one needs to get from a South Asian Store as one might need to travel few hours to get to one. Thanks. That’s a good idea for a blog post…coming soon! Would like to join you Wed. Nov 30th. Do we need to rsvp? Congrats! “Rice and Curry” is one of the New York Times notable cooks books of the year. I can wait to pick up a copy! Sorry, I meant I cant wait to pick up a copy! Is it possible to get your lankan curry powder shipped to melbourne? I want to try it out. Would appreciate a quick reply. Thank you! Sure. Let me know what you’d like and I will figure out the shipping cost and get back to you. The Raw powder is US $7.00 and the roasted is $9, but I sell the set together for US$15. I’m curious to find out what blog system you happen to be utilizing? I’m having some small security problems with my latest site and I would like to find something more secure. Do you have any suggestions? I was checking out a fish ambul thiyal recipe online and came across your blog. I have seen the No Res show and also some of your clips on youtube (Sri Lankan Street Food – Galle Face Green) and it was great to see in-depth reviews of SL cuisine. Good work!! BTW, I’ve tried different takes on fish ambul thiyal, once even using chicken instead of fish. If you get a chance I hope you can try it. As strange is as may seem at the start, I assure you the chicken ambul thiyal is VERY tasty. Steps are the same as what you’ve instructed in your recipe, but finish it off in the oven by form of baking for 5 minutes. Let me know how it goes if you get a chance..
keep representin’ and all the best.. Thanks, Mili. I could see that chicken could work instead of fish in the ambul thiyal recipe. Will have to try that soon! Thanks for the tip. I traveled to Sri Lanka last February on a birding trip and loved the food we were served almost as much as the beautiful birds. I just ordered a copy of your book from Amazon as a Christmas present to me. Twelve years ago a friend invited me to Colombo Hoppers in Vienna, Austria…. I was hooked on the first bite! Now when I travel, I seek out Sri Lankan restaurants worldwide, in Dubai, in Sydney, in London, everywhere but in the US! I know some exist on Staten Island, but that’s it. Could you please point me in the right direction? Could add a list of Sri Lankan restaurants in the US? Very nice post. I just stumbled upon your blog and wanted to mention that I’ve really loved surfing around your weblog posts. After all I will be subscribing on your feed and I am hoping you write again soon! Hi, Nice blog. Can I have your email id please? Have you been to Banana Leaf in NYC? I went a few weeks ago, their appam were very good- crispy on the outside and not too thick on the inside. I don’t eat eggs so I asked if they could make me sweet ones instead, and they did. Plus, extra coconut milk on the side. Their iddiappam was good too, although their seeni sambol seemed different than what I am used to, but still tasted good. I’m happy to find that place. I have eaten at Banana Leaf, John–and enjoyed it. In fact, I did a blog post about it. But try to make it out to Staten Island if you can because the best Sri Lankan restaurants are out there. I am a sri lankan grad student lives in michigan and i can feel the taste by looking at it. wonderful !! Thank you for sharing your expertise. Like to have your phone number or email address. I am eyeing the kalu dodol recipe in your book. Would love to make it this weekend, but I’ve heard that you have to stir it for 4 hours. Is that correct? Hi arunie, yes Kalu dodol must be stirred for a very long time! Warm regards from ATICO Fakhreldin Group. We would like to thank you for the amazing article posted on your blog about Fahkr El-Din, We value your contribution, and we feel so privileged for the effort you have put. Please know that we truly appreciate your feature, and let us know the next time you visit Jordan to show you a truly amazing experience at Fakhr El-Din and all our other ATICO Fakhreldin Group outlets. Thanks! Had a great time there, and will definitely go again when I’m in Amman next. Skiz, I remember reading a great article of yours called ‘cultural imperialism in the food world’ but now I can’t find it. Could you send the correct link to me? I’m a cultural studies student and would really like to use the article as a reference. I remember that. Let me find it and send it to you. There is also a recent article in the Washington Post that you might find interesting. I’ll send a link. Hey Skiz, am relatively new to wordpress, can’t figure out how to contact you privately. I’m on twitter @anniedesilva, DM me pls?